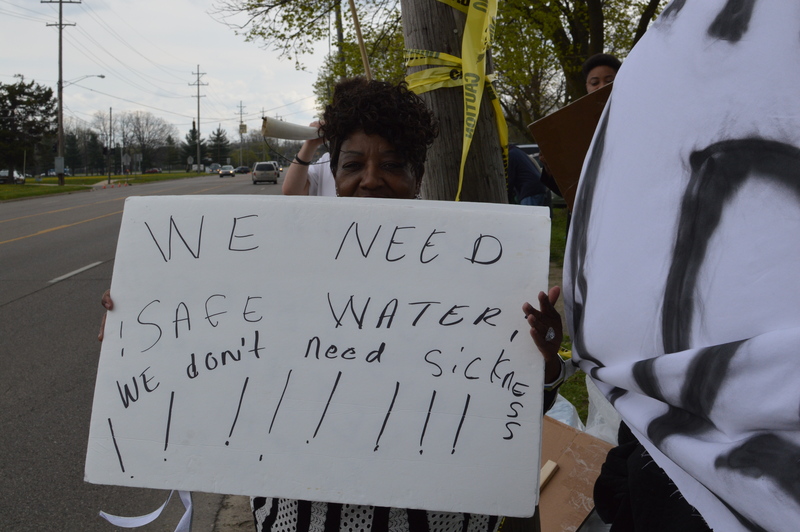 FLINT, MI — Each week Tia Simpson travels throughout the city of Flint, Michigan, to restock cases of water that sit in her living room. It’s not uncommon to see 20 or more cases in her home. She uses the water to wash and prepare food, to brush her teeth and for daily consumption. “This is what I have to go through every day,” she says as she washes fruit with a bottle of water at her sink. “I use at least four to six bottles of water just to cook. Simpson, 33, lives on Flint’s south side, one of the oldest communities in Flint. There has been little to no work on her nearly 70-year-old home’s infrastructure and in 2016 the content of lead in her house was so high that it warranted a visit from the US Surgeon General Vice Admiral Vivek H. Murthy … Continue reading with Belt Magazine here.